A multi-unit franchise is one in which the franchisee owns and operates more than one unit, traditionally in the same general region. For a multi-unit franchisee, there is an Area Developer Agreement which specifies the number of units that the multi-unit franchisee will open, in what time period, and in what specific territory. There is then an individual Franchise Agreement between the franchisor and franchisee for each unit that is opened. Typically there is a schedule or a required time by which the unit must be opened under the Area Developer Agreement. The multi-unit franchise is a form of franchising that has increased in popularity, frequency, and influence over the past few decades. Under this model, the franchisor will often bring in operating principals to run each location. The franchisor itself can be an individual person or couple – much like the traditional example of a single-unit franchisee. However, over the last few decades, these multi-unit franchisors have often developed into large corporations of their own. Many such corporations have many different franchise brands in their portfolios and carry an incredibly robust and sophisticated back of house that is able to efficiently operate dozens or even hundreds of locations under one franchisor. While becoming a multi-unit franchisee certainly requires a higher investment level, it also provides more stability and a higher expected rate of success, as the franchisee is not reliant on just one location to be successful. There are also saved costs because of the efficiencies of having one back of house for multiple locations. Additionally, franchisors will often offer reduced fees and royalty breaks for multi-unit franchisees to entice them to invest at a higher dollar amount initially. For example, many franchisors will require a multi-unit franchisee to pay an initial portion of the franchise fee for each location to be opened as specified in the agreement. This can be seen as similar to a deposit, but really is a fee paid to keep those prospective locations off the market during the duration of that development period. The popularity of multi-unit franchisees has seen exponential growth in recent years. Many of the largest franchise systems are dominated by a small number of multi-unit franchisees. This allows those franchisees to exercise a significant amount of power in their systems. It also can provide an incredible level of stability to a franchisor’s system. Beyond the efficiency of only having to service one franchisee for multiple stores, the franchisor also can continue to build their brand by awarding new locations and regions to experienced franchisees who already have a track record of success. Additionally, when a single unit or even multiple units are struggling under the control of a poorly performing franchisee, the existing multi-unit franchisees are often eager to take over those locations, confident that their experience and know-how will be able to turn those locations around to profitability. For the most part, these established multi-unit franchisee corporations are extremely picky about what brands they buy into. It is rare that they will invest in an emerging franchise system that does not already have an established and successful history of operation and support. 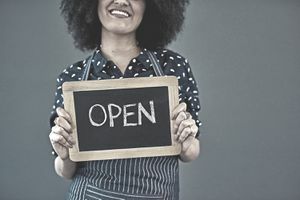 For this reason, many emerging franchisors begin their early growth with Single-Unit Franchisees before they are able to present a more competitive and substantial offering to the big players in the multi-unit area. Franchisors should avoid bringing in these big multi-unit franchisee entities until their systems are well developed and consistent. Often, a franchisor will only get one chance to show this community that their brand and support is up to their level of expectations, and if the brand falters, it can be difficult to recover. The group of established multi-unit franchisees, while growing in influence, is still a relatively limited and tight-knit community. It can be difficult to get your brand in front of them, and even harder to get them to seriously investigate your brand. A great opportunity to make this community aware of your brand is to exhibit at the Multi-Unit Franchising Conference put on and produced by Franchise Media Update and Franchising.com each spring in Las Vegas.